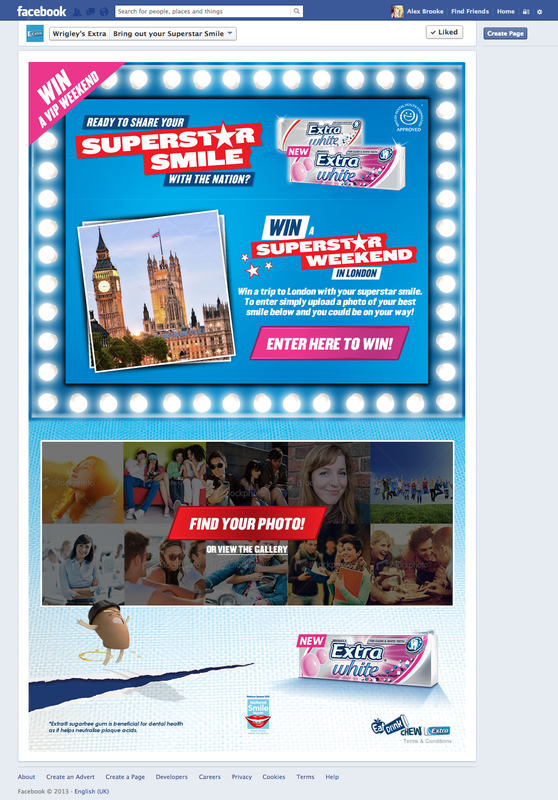 Wrigleys Superstar Smile was a Facebook tab based competition where people could enter a picture of their best smile in order to be in with the chance of winning a superstar weekend in London. The main focus of this design was to simplify the user experience and make it as easy as possible for people to enter the competition, as well as view other users entries as users could also enter via photo booths in shopping centres. This design was heavily based around the Wrigleys brand, with assets being provided by them to help the brand presence come across consistently with the rest of their online branding.